You've probably seen a roulette table before even if you've never played. They're an iconic image from any casino. While the wheel may look intimidating the game is actually very simple to learn. 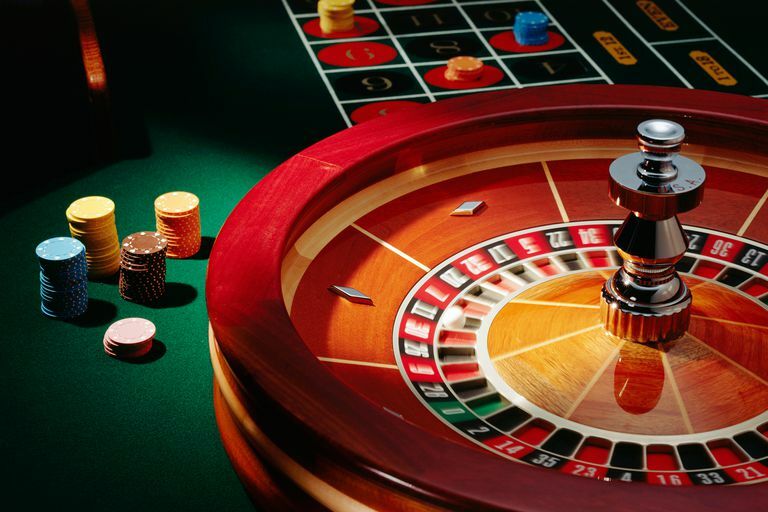 The object of Roulette is to pick the number where the spinning ball will land on the wheel. You can also bet combinations of numbers or choose the color or whether the number will be odd or even. There are two different roulette wheels. The European wheel has 37 slots numbered 0-36. The house edge is 2.63. The American wheel has 38 slots with 0-36 plus a 00. The extra slot increases the house edge to 5.26 percent. The inside betting area contains the individual numbers on the layout. The outside betting area has boxes for the columns, red/black and odd/even and different groups of numbers. The numbers on the inside are arranged in 12 rows of three numbers forming three vertical columns. The 0 and 00 are at the top of the columns. To avoid disputes, each player receives a different color chip at roulette. These chips are good for that table only and you must cash them in for regular casino chips when you are done. You cannot cash in the roulette table chips at the cage. Each roulette table has a minimum and maximum bet. You can’t combine your inside and outside bets to meet the table minimum. If the minimum bet is five dollars, you have to bet $5 on the inside and/or $5 on the outside. You can’t bet $3 inside and $2 outside. 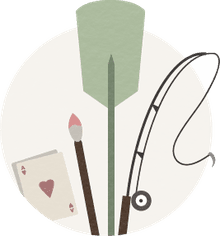 There are several inside bets that you can make. You can bet a number straight up or straddle the line between numbers to select a combination of numbers. The payouts are as follows. Straight Up bet is a wager on a single number. It pays 35 to 1. Split Bet is a wager on two numbers and it pays 17 to 1. You make this bet by placing your chip so it straddles the line between any two numbers. Street bets or line bet pays 11 to 1. You make this bet by placing your chip on the vertical line separating the outside and inside betting areas. The chip straddles the first number in the row. Corner bet or Quad bet pays 8 to 1. You make this bet by placing a chip so it is touching the four corners of the numbers you are betting. Basket bet is a five number bet on zero – double zero and numbers-1-2-3 which pays 6 to 1. On the double zero wheel, it has a house edge of 7.89 percent making it the worst bet in Roulette. Double Street bet is a wager on six numbers and pays 5 to 1. You place your chip on the line separating the outside and inside area as you do for the street bet but let it also straddles the row above or below. The outside bets are any of the bets made in the boxes surrounding the numbers. Red Black Odd and Even are all even-money bets. Place your chips in the boxes on the layout. Dozens bet are made on the 12 consecutive numbers. Place your wager in the boxes marked 1-12, 13-24 or 25-36. These bets pay 2 to 1. If the zero or double zero comes up you lose. Column bets are also 12 number bets. These are the numbers in one of the three vertical columns. Place your wager in the boxes at the bottom of the layout. These bets pay 2 to 1. Dealers are required to keep the wheel moving at all times, even between spins. They spin the ball in the opposite direction the wheel-head is traveling. This causes the ball to jump and spin before landing on a number. The dealer will note the winning number with a marker. Always wait until the dealer removes the marker before making new bets! If the number you want to bet is already covered with chips, don’t worry. It is permissible to stack your chips on top of the other chips. That's why you have your own color chips. Keep in mind that while roulette systems like the Six-Pack Plus are fun, the house will always have the advantage.